Fulham have announced the signing of 1899 Hoffenheim midfielder Håvard Nordtveit, who joins the side on loan until the end of the season. The 28-year-old isn't a stranger to the Premier League, having once been on the books at Arsenal, and having spent a season with West Ham United back in 2016. The versatile player capable of playing either in defensive midfield or as a centre-back, which should be a real boon for Cottagers boss Claudio Ranieri as he looks to shore up his side's notoriously leaky backline. 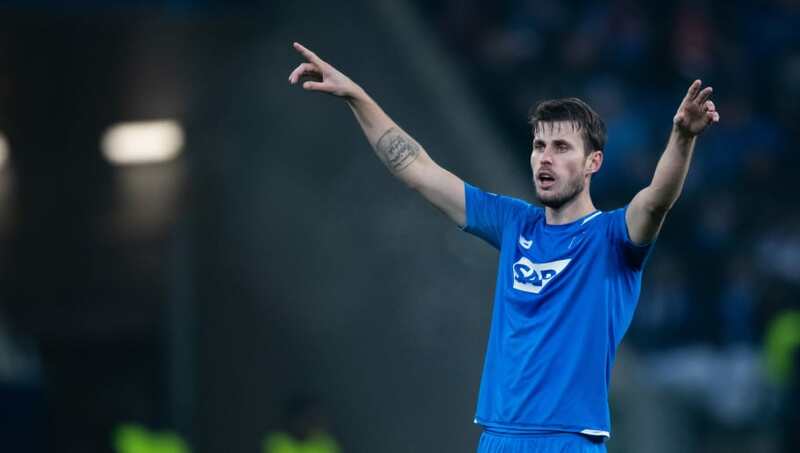 Speaking to the club's ​official website, Nordtveit said: "I’m really happy to have the opportunity to come back to the ​Premier League and hopefully help ​Fulham to a safe place. "That would be a something I'd would put high on my list in my career. The situation Fulham is in now is more or less the same that Borussia Mönchengladbach was in when I joined them from Arsenal. "They were down the bottom of the table, a much worse situation, eight points off a safe place, and we made it. It’s a feeling that I want again because it’s a feeling you can’t get anywhere else, just on a football pitch. ​​Fulham currently lie 19th in the Premier League table, six points away from safety. Scoring goals certainly hasn't been a problem for the Cottagers - they've scored just five less than seventh place Wolves - but their defensive issues continue to blight their season. With the rock solid presence of Nordtveit now in the team, fans of the Lilywhites will be hopeful of a few more clean sheets.